The Modular Series supports all common optical media formats inlcuding CD-R/DVD-R and Blu-ray. Each unit can be configured to provide the optimum balance between capacity, function, performance and cost and can be easily integrated into all common network environments. Combining fast read and write access with optimum media handling provides solutions for an unlimited range of data capacity requirements. 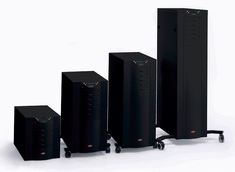 The modular component design allows users to upgrade or exchange the drives for improved technologies. Storage capacities range up to 33TBs using 50GB dual layer BD-R media. A mail slot enables the continuous loading and unloading of media for system-controlled security and handling.